The Gulf soaking tub inspires imagery of the unique and contemporary design of Japanese ceramic tableware. 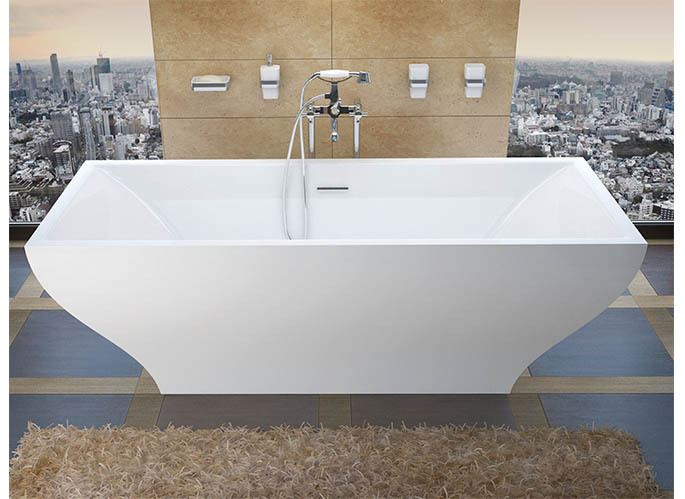 The Gulf soaking tub at just under 6 feet with 32 inches across has plenty to offer when it comes to luxurious soaking space. 32" x 71" x 23"